Frank Gehry’s exuberant-landscape-meets-open-office phase is in full swing. 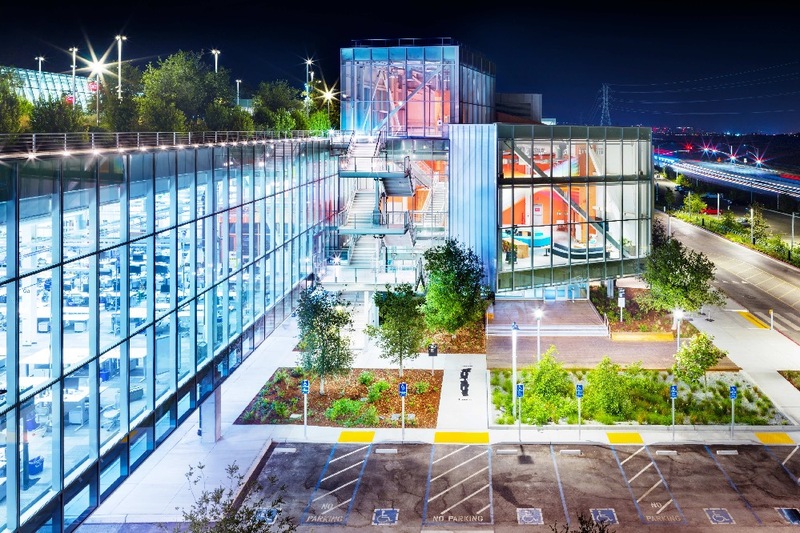 The 89-year-old architect and social media giant Facebook have unveiled select views of their recently completed MPK 21 project in Sunnyvale, California, a 523,000-square-foot addition to the company’s sprawling Northern California headquarters complex. 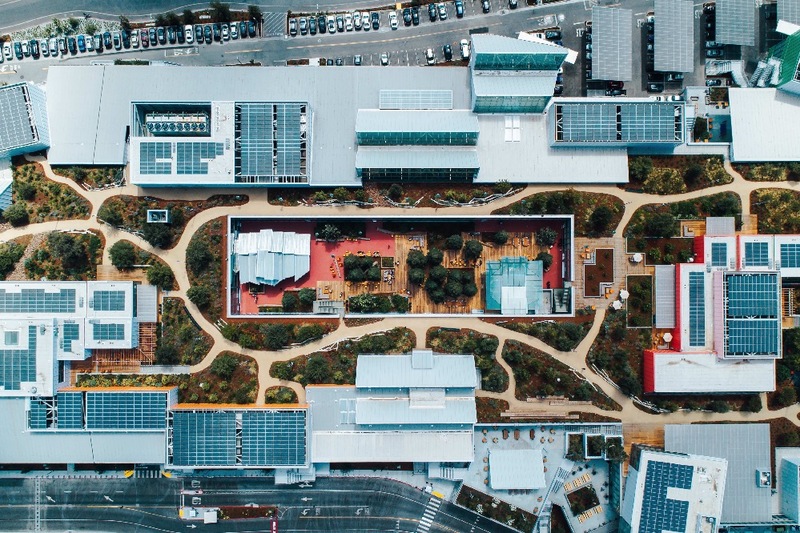 Built in only 18 months by Level 10 Construction, the green roof-topped slab office building is billed as an expansion of Gehry’s MPK 20 project that opened next door in 2016. 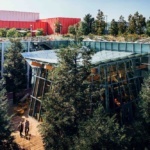 In a video announcing the completion of the offices, Gehry explains that with MPK 21, his office and the client sought to put into place lessons learned from the MPK 20 building. 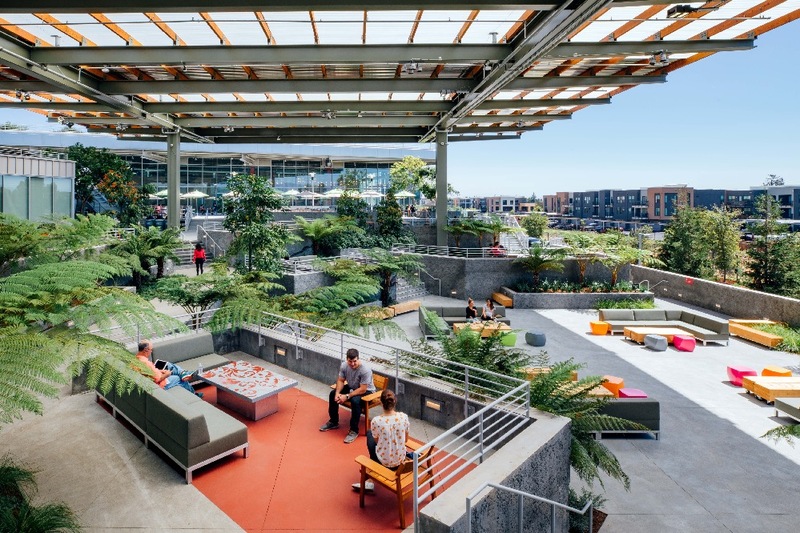 As a result, the new 3.6-acre green roof for MPK 21 spans multiple levels—instead of just one, as is the case for MPK 20—and becomes a central, planted courtyard at the heart of the complex studded with social and work-related spaces. 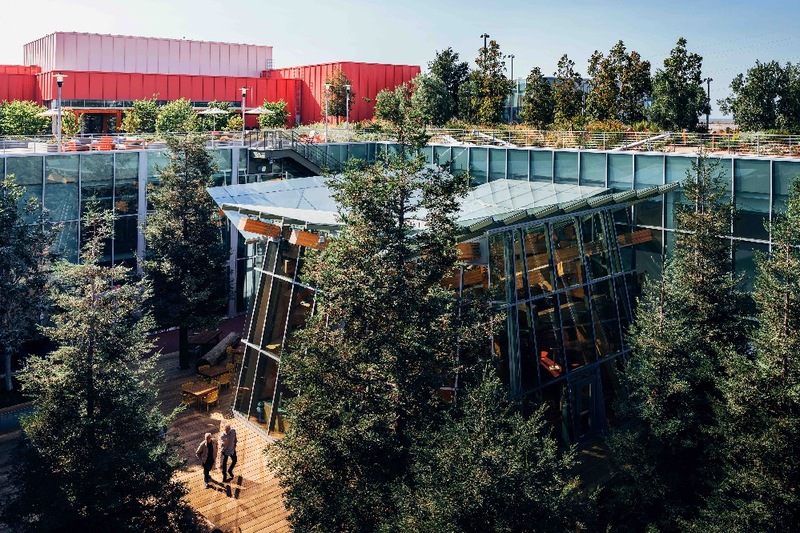 The garden links rooftop, offices, and the neighboring buildings and also features over 200 trees, including over a dozen 40-foot-tall redwood trees, as well as a half-mile-long meandering pathway and an amphitheater. 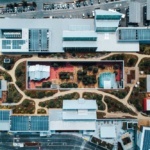 Within, the complex is organized around a central spine that links open office areas, quiet workstations, dining facilities, and a 2,000-person digital meeting space. 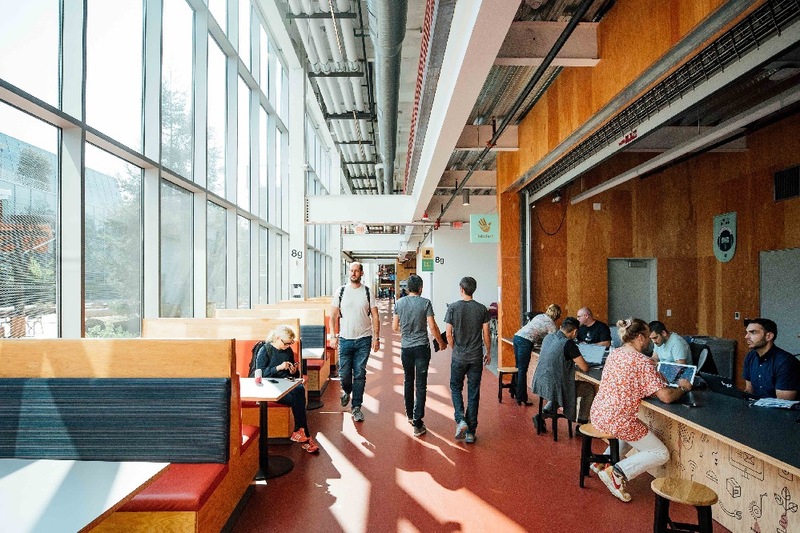 The complex contains 15 art installations that were developed in conjunction with an artist-in-residence program. 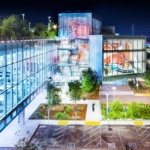 The building also comes studded with environmentally-friendly bells and whistles, including a reclaimed water system designed to save about 17 million gallons annually, 175,000 square feet of fritted windows to protect migrating birds, and a 1.4-megawatt solar panel system that will generate almost 2 million kilowatt hours of electricity yearly. Plans call for completing a two-acre public park and plaza adjacent to the offices within the year with a forthcoming elevated bicycle bridge slated to span across the Bayfront Expressway heading to the site, as well. 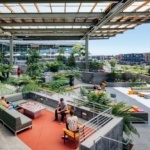 In conjunction with the project, Facebook says it has contributed $20 million in funding for affordable housing and rental assistance programs to local authorities while it works with regional partners to reopen the Dumbarton Transportation Corridor as a multi-nodal transitway to help alleviate some of the traffic congestion that is likely to occur due to the new offices.